This most excellent fake mustache was made were most everything seems to be made…China. I, like you, buy things without ever really thinking about their origins. 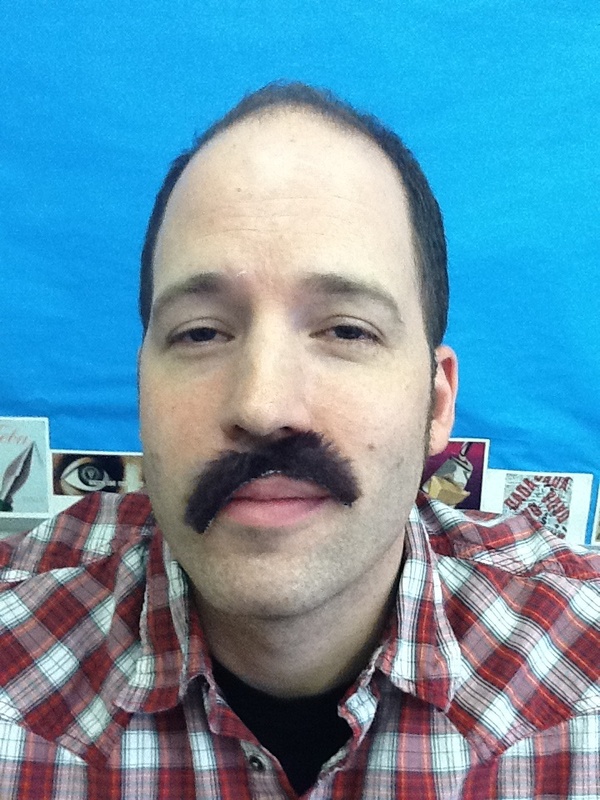 In this case, I just thought it might be useful to have a stash of fake ‘staches in the classroom. Of course, they’ve proven to be invaluable in so many ways. In this case, the mustache was just another item I used to illustrate our global supply chain. Allow me to explain. Divide the class into teams of 2-4. Give the teams five minutes to search anywhere in the room for a “Made in China” label. Step back and watch them go. I’ve tried this scavenger hunt with every grade between 6 and 12, and it always gets the students excited. Of course, they enjoy rummaging through classroom stuff, but they also enjoy wrestling with the bigger questions as to how and why so many things in one relatively small space end up coming from one country. Respect other people’s stuff. You may only look in your teammate’s bags, etc…and only then with their permission. I do NOT, for instance, allow students to look in my bookbag, but I do invite them to look through my desk, closets, file cabinets, etc. Leave it like you found it. In other words, search respectfully and leave whatever you find exactly the way you found it. If you don’t, you’re immediately disqualified. Once it’s claimed, you can’t have it. Once one team notices my paper clip dispenser is made in China, no other team can claim that object. Each team keeps a list of claimed items on the board. Keep your clothes on. Shocking, I know…but I’ve had team checking each other’s underwear. Disturbing…so set some limits. After their five minutes are up and a winner is declared, I always ask, “Why did I have you do this?” The students’ responses are wide-ranging, but they quickly point out that a vast majority of the things we purchase come from China. Taking a few minutes to let them “research” and come to this decision by hunting through the room makes the point stickier. After we establish China as the “world’s factory,” I then steer the conversation toward energy sources. I eventually ask the students for the primary fuel source that powers all this production. It is very rare that any of them ever think of coal. I always try to incorporate this kind of real world awareness in my lessons, and I know many teachers could find useful connections for an activity like this one. In my own class, this pre-reading work builds context for a critical reading of George Orwell’s essay “Down the Mine” where he illuminates the grueling work of coal miners. I often use this essay as an exemplar of descriptive writing, and in order to get students “into” the essay, I try to get them to think about the irony of our everyday lives. We burn coal every day when we charge our computers or order an extra-hot-extra-foam-soy-Chai-latte, yet we never really think about the process that puts all this energy at our fingertips. Devising a class activity that helps students see such connections makes them more likely to read critically and passionately. My end game is to help students be more effective communicators. Toward that end, they need to develop their voice. To do that, they must be adept at identifying, labeling, and critiquing various writing techniques. To build this skill, students must be critical readers. To become more critical readers, students have to care about what they are reading. They have to see a purpose. Activities like these help students find a purpose, and they make the students more active in the learning process. What applications can you see for a “Made in China” Scavenger Hunt? What are some of your “go to” lessons? I’d love to hear from you in the comments section.